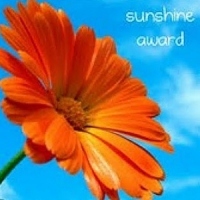 Friendship Flower Blessings is something I have wanted to share for a long time, I know I have other Awards to Post and they are also important but this Blessing I give from my heart to my Blogging Sisters in The Lord, those past, those now and those in the future. There are no rules or set requirements, you are under no obligation in any way but if wanted you can share it with others and use the emblem. It’s my way of saying thank you that you touched my life with your Blogging friendship and for your support and encouragement, they are like God’s creation of flowers which He gave to say I Love you a real blessing and they bring the sweet smelling fragrance of Joy. I have included some of my Blogging Sisters who I shared with often but as can happen I have now lost contact with them but not in my heart, I will always remember something special and unique about each one. There were others but sadly I dont have their links or they no longer Blog. I will always be grateful for the time on the Blogs that I shared with them, for their deep thoughts when Posting and commenting, for the laughs and for their kind words that encouraged and uplifted me, I will always value the time we did share together. This Blessing is also for my Sisters that I have continued to Blog with, thank you so much for always offering your support, Godly advice and encouragement and for for continuing to be there for me in the ups and downs, for the fun times and for our rejoicing in the Lord together and sharing His Truth. I will never forget your kindness and for the flowers of Love you give me, may we continue to mature in The Lord together. Also this Blessing is for my New Blogging Sisters in the Lord, you have already blessed me in the short time I have known you and I very much look forward to sharing more with you in the future. Lastly this Blessing is for those Blogging Sisters I will meet in the future, all good things come from God and I look forward to sharing with you too and will offer you this Blessing as a gift to thank you for your Blogging friendship and for the flowers that you will share with me. This entry was posted in Gifts to Friends, Messages From The Heart and tagged Blessings, Blogging, Creation, Flowers, Friendship, Gifts, God, Love. Bookmark the permalink. You too dear Lynn have Blessed me greatly and in the Storm that is raging in my life right now your have not hesitated to offer your Compassion as you Comforted me, Thank you for your Prayers too, you can be sure that I very much appreciate your encouragement it has Uplifted me greatly too. The Lord has blessed me with your Friendship Lynn and I feel Loved and appreciated by you. 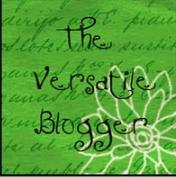 Since this was originally posted in 2012, I am one of the “future blogging sisters” you referred to! God orchestrated all the details so that we would meet, connect, and spur each other on! It has been several years now and I too thank God for your friendship! Love to you Annie! Yes you are a dear Blogging Sister Debbie and a very dear friend too whom I value greatly and also your Faithful Prayer Support. Thank you for the Scripture it’s one I keep close to my heart, with being part of The Body of Christ we need each other, we are One in Spirit with Jesus and He also chooses to need us. I’m still recovering Debbie after the Accident and also a Dog attack both of which I will Post about soon, I’m very Thankful to Diane who I phoned for letting you know as I could not type until this Morning, I was in too much pain, my arm is still painful but considerably less. I can only imagine, Anne, that you have been as good and true a friend to all those listed here as you have to me. Your intentions are always godly; your actions, always honorable. That standard is in striking contrast to the behavior of many, many others online. May God bless and protect you — online and off. Wow Anna, your words are very kind and Uplifting but than you have a Loving and Caring Heart, I’m so Thankful we met. Yes I knew all of the Bloggers listed on this Post and enjoyed Blogging with them but not many of them still Blog today, unless they do so under another name, I have found this to be True with some of the Men too, sometimes I recognize who they are but I’m sure not always. A lot also prefer today to use Facebook or Twitter especially in Australia, they are free and there is no interference or constant changes which causes confusion. I also find today that a lot don’t accept Awards and yes they can be a lot of work but some have been a real Blessing like with this Challenge, I have had an opportunity to share my thoughts and feelings with you and others who are also my very special Blogging friends in The Lord. Hi Margaretha, so lovely for you to thank me, sadly it is something not many do today and yet Jesus tells us to give thanks for everything, including kindness shown by others it’s like thanking Him, I’m thankful you have a caring heart. I did check up on you but you haden’t posted for a long time, so good your back, I will look forward to sharing with you again. Yes I’m still having Computer problems but hopefully things will settle down. Thanks again Margaretha – Christian Love – Anne. Thank you, Anne but it would not let me get it…:( Hopefully I can try again later and it will work! I don’t know if this helps, but if you go to simplyjuliana.com that may do something. I switched yesterday to my own domain and that may have something to do with it. If not, it is the sweet thought that counts and I thank you very much!! Hi Juliana, I’m pleased you were blessed the same as I am having met you in WordPress Blogging Heaven but I had no problem, your link took me to your Blog without any problems, try again now. Thank you for including me in your Flowers of Friendship. 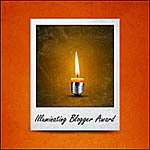 You are a wonderful blessing with your blog and your comments on other bloggers’ posts. May God continue to use you. Hi Tricia, I have met some very beautiful people both men and woman, with loving hearts, since I started Blogging in America and your one, thank you. Hi Jackie, I’m sorry you are not well I hope you have not suffered for very long ? and that you being cared for? As for the Blessing there are no rules, you just share it if you want to thank someone for their Blogging Friendship, or just keep it as a thank you from me. I know you seek to bless others with the little things you do for them, like the clever and pretty cat you posted for me but there is no pressure at all with this gift, it really is a blessing, I’m very thankful for your kindness. We will be praying for you Jackie and I will ask Peter to pray also, he is a Christian friend who has the gift of healing. Christian Lovefrom us both – Anne. Hi Vivienne, your back on the Blog, you must have heard what I said to Ron, thank you for you kind Love filled words and I feel the same, your a wonderful friend and Sister in The Lord. I know caring for Steve does not leave you a great deal of spare time, so I really do appreciate you visiting me on my Blog and I love your short to the point Posts that you share which encourage and uplift, the same as you do me when we share our ups and downs together… thank you dear friend. Hi Vivienne, Wow hugs and kisses, now I know why God wanted me to share this Blessing, we all need to know we are appreciated and Loved, thank you dear friend. Flowers, love, blessings, joy and happiness seem to run together, good one Anne. Hi Love, good to have you sharing again, when you go away even for a few days there is always a gap, it’s a blessing to connect with you on the Blog again too. Well you have often heard me talk about my Blogging Sisters, they are indeed a blessing also and thanking them in this way seems so little when they have given so much of themselves to encourage me in my sharing and to uplift me but I can’t invite them for a cuppa or a meal to say thank you even though I would love too do this, the same as I do with my Aussie friends but of course not many of them Blog and those that do only on and off, well as I often say, they are all unique … How good is that! love it !! Thanks !!! Thank you Rebeca, you have such a Joy in your spirit, I feel it in your words and sharing, the Happiness you feel for your Sister’s baby is beautiful, as you are also beautiful within. I also thank you a lot for sending me good and inspirational poetry. Keep posting. Of course it’s alright to link back to me. 😉 And yeah, I really the the poetry you sent me, I actually kept it to personal box, so it won’t be lost with other emails I am receiving everyday. 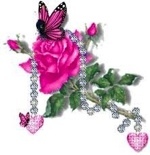 Hi Anicka thank you that is very sweet of you to treasure my poetry like you do, I think that is really lovely. Sorry it seems both Ron and I got it wrong we thought it was you who gave up smoking we will both have to read your post again. I just posted a poem for you, it may be one I sent you before but I have changed some of the animations with this one so it won’t be exactly the same. Take care my friend, I will see you tomorrow on your Blog, I noticed you posted again. Hi Anicka, can I ever forget your kindness, encouragement and help when I first started Blogging and yes you are right Friendship is in the heart, so we are never really apart and it is true you are often in my thoughts, I enjoyed our times of sharing on each others Blogs when we first started and on and off since and also hope to do so more in the future. Ron as well as I are very impressed and thankful with your absence from smoking, well done my friend. I didn’t know you enjoyed my Poetry Anicka, it is from my heart as lead by the Lord, I will post one for you’, I hope it is allright to link it back to you. Thank you again for your help and encouragment. Hello Yen Yen, I too am very grateful we became Blogging friends, you have indeed taken me on many interesting trips and I have even felt that I was travelling with you, thank you, I Love your honesty Yen Yen, and your enthusiasm and I enjoy your Posts , I’m never sure what’s next… can’t wait to hear your news. Once again, you gave generously my friend. You share love , joy and inspiration everyday. Your sisters will for sure be happy to receive such a beautiful gift of friendship. God bless you and Ron always. Dear Island Traveler, thank you for your uplifting and encouraging words, I have been greatly blessed to have met so many caring Sisters in The Lord, they are very beautiful within and I don’t need to see them face to face to know that for sure, it is shown in what they share in their Posts and their comments, this was really just my way of saying thank you. I have posted a Power Point Island Traveler for your son, the links below, I hope He enjoys it. Thank you so much for your friendship. That’s awesome Julie, how wonderfully gifted you are and yes a beautiful fragrance of Jesus Love, that you freely offer so willingly to others. Like my other Sisters in The Lord you have great passion for the Lord that is expressed in your writing and also openess in your sharing. I’m very thankful our lives have touched and look forward to sharing more with you. Thank you Anne, I feel blessed by your friendship and receiving this award. I find encouragement and inspiration when I visit here . My thanks to you and Ron for your friendship. Hi Francine, when you first visited our Blog, I thought this is a very gentle and caring person and I know now that is very True, you have not waived at all. We really enjoy your Posts too, there is much variety and very interesting topics, thanks for your Blogging friendship Francine, it has indeed been a real blessing and your flowers of Love are not just on our Blog but on many others. Just one last word…. Thank you, Anne for sharing and giving the support and encouragment of friendship. Thanks Sis it’s been wonderful sharing with you. Dear Anne, thank you so much for thinking of and remembering me. I haven’t been online as much lately due to so many factors but I try to make a concerted effort to read the blog that I follow every week so I can stay connected to my blog family. This award reminds me that true friendship and sisterhood isn’t about the times when you are connected but it;s about the connection you have during the times of stillness, quietness and distance. Hi Florence, yes I agree Blogging takes time from other important things not that it isen’t of great value but we need balance. Being disabled at the time, I commited my Blogging as a Job to God and it have given me much Joy and fufillment even with the problems that I have had with the Blog but I do understand this is not the same for everyone. I enjoyed our sharing with you Florence, you are a warm, honest and open person who gives of herself to others and this is very uplifting, thank you for your encouragment too. Thank you for your blessings, and encouragement – I cherish them. I hope there was no misunderstandings about the blessing for Israel, but it was my heart’s desire to bless Israel at that time. I believe it’s true that we have to trust God above any man or woman. God has placed in me a desire and calling upon my life to be a Pastor, and I believe that even if a woman is called to be a Pastor she should be under the headship of a male Senior Pastor or superior, but since there are a lot of divisions in the Church, I don’t want to cause any more division by bringing any division. I am sorry if I caused any offense. We have to trust in Jesus to work out all the errors in the doctrines, and divisions, and factions in the Church. But as for you my sister I love you and I appreciate your friendship flower. The other day I was thinking about your posting on Housecleaning, and it made me rejoice and laugh. Hi V, I too appreciate your encouragement, your a very deep thinking and passionate woman, we have shared much together and reasoned about many things and this is good, it is what God tells us to do but we are not to argue or seek to discredit others with our own worldly understanding, we must always have the confirmation of Scripture. I have no problem as I shared with you V praying for old Israel, we are to pray for all Nations including them and we will be blessed for doing so. God tells us He has no favourites but thankfully that a remnant of the Jews will be saved, they will be grafted back in after repentance, we are the new Israelites in Christ Jesus, the Children of the promise as Romans clearly tells us and we will all be saved. As for woman being Ordained, God also confirms in Scripture as we have shared together, that Woman are not to be in Authority over men and Teach them in this position. Woman can share God’s Truth, correct and warn but not in Authority except over Children and other woman . We have a very high calling and are not inferior to Men Spiritually, there is only one Holy Ghost and we have equality in Christ Jesus but our roles are differant and within our own God given role which we have been chosen and Ordained for from Creation, we will be complete and find deep inner Joy that lasts. Wow Die, how can I begin to express my thankfullness to you, your Loyalty even when you didn’t always agree with me, your Understanding and concern, your beauty of Character and warmth of heart, it’s been a great Joy being your Blogging friend since we started together, and your friendship is something I continually thank God for, your forever in my heart and it can never be any other way. I don’t have a lot of friends that I can touch…..But I thank God for my online blogging friends!!!! Thank you for including me as a friend. The reality is that YOU are the special person!!!! You have a incredible caring spirit. God bless you for the love you share! Dear Tanya, be assured you will always have my friendship and Christian Love, you are my Sister in The Lord and our hearts have been bonded together with His Love, many times I have read your Posts and been uplifted, please forgive me for not always telling you so, your Love for The Lord and His Children is like a beacon when you write, it is bright and gives strong and supportive direction, THANK YOU! Michele, what was very apparent from the first time I visited your Blog was that you are a woman of courage and I respect you greatly, to fall down and pick yourself up as you have done Trusting in The Lord to keep you strong, is an example that can’t be caculated in wordly terms only greatly appreciated. You also have a gentle and quiet spirit that is very beautiful and reflects your kind and caring heart. Thank you. My beautiful Robin, such a very special Treasure, so open and not afraid to show your feelings, your passion for the Lord is very uplifting and when I visit you for a cuppa I always leave feeling refreshed, thank you for your acceptance and friendship, I value you greatly. When I first meet you on your Blog, I thought, this is a special woman and I was not wrong, you are very gifted and also a deep thinker, there is nothing shallow about you. Blogging with you Angie has been a challange, you get me thinking, we may not always agree but it’s great being able to reason together, you are indeed a blessing, Thank you. Thank you so much Anne as Terra just said I know this is from your heart. You are such a sweet person and I feel so blessed by your friendship. God bless you. Hi T, I was overwhelmed with my need to thank you all for the Blogging friendship that you all have given me, thank you for your willingness to express so openly and willingly your friendship. From the very start you touched my heart T and I felt a bond with you, your inner beauty radiates the Love, compassion and acceptance that you have for everyone as people of worth. As they say….you were a stranger but you walked into my heart to stay and that is so True of you T… Thank you. Thank you Anne. 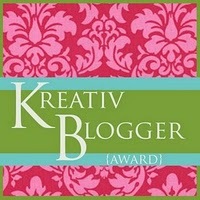 God has provided such a wonderful group of blogging friends and sisters. And we are from all over the world. God wants us to be in good company to lift each other up so we can send his message to those who don’t know him. Hi Cathy, we have indeed had some ups and downs in our lives but the wonderful uniqueness that you have is that you rise up above Trouble and stand firm in your resolve to put The Lord first and one way you do this is in a very creative and witty way with your writing. Thank you for the special times we have shared especially my Christmas day when you reached out in Love and friendship, it will always be in my heart. What a sweet and kind sister in the Lord you are Anne. I know this is from your heart and I great appreciate your love and passion to reach the heart of many. We’ve known each other for some time now…… it has been a blessing to be called your friend. Much love I send your way with prosperity that reaches beyond your imagination. God bless every step you take to bring unity amongst His children. Thank you Terra for your Loving and kind words, the first time I read a comment you had written on someones Blog and yes it had detail like mine and much Truth, I thought this woman has a heart for God and for others and so I found your Blog and I was not wrong, God has blessed me greatly with your friendship.